Alright. I’ll admit it. I was one of those people today. I was one of those people who ate nothing but paczki’s for lunch. Yes, I planned it that way. I went to bed last night looking forward to it. Paczki Day is something that’s pretty new to me. J introduced me to the Fat Tuesday tradition just three years ago when we took my mom to a doctor’s appointment in Chicago. We got talking about them then went looking for a Polish bakery on the north side of town after lunch at Weber Grill downtown. Since then, we’ve always went looking for a bakery on Fat Tuesday. Last year, we found them at Quality Dairy in Lansing. This year, we had to find yet another place. Our first stop was Sarkozy’s Bakery in downtown Kalamazoo, but we were way too late. It didn’t look right when we pulled up and the store was empty. We walked in to find more emptiness. Some guys slicing bread told us they were out of paczki’s until tomorrow morning, but they will have them all week. We knew we could go to Sweetwater’s, but we really wanted to try someplace that we wouldn’t normally go to. 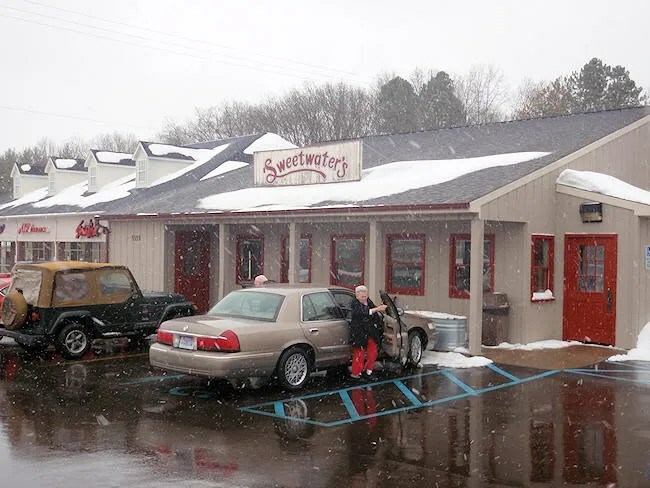 We can go to Sweetwater’s any day of the year and get amazing donuts and we wanted to see more of what Kalamazoo had to offer. Alas, we ended up at Sweetwater’s anyway. I don’t mean that as a bad thing. They were J’s first choice anyway. It’s just the adventurer in me that wanted to keep looking. 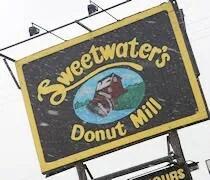 We chose the Sweetwater’s Donut Mill on Stadium Drive near Adios Street because it seemed like the logical choice from downtown. It’s a small building with a drive through window and a small seating area. That seating area was filled today with boxes and boxes of paczki’s waiting to be picked up. Since we were after 2:00, the line had somewhat died down. There was still quite a few people, but the line wasn’t out the door like it was this morning. There were three people behind the counter working frantically to get everyone in and out in a hurry. J told the lady we wanted a half dozen packzi’s. She picked up a box and J yelled out the flavors to her. We started with two vanilla and ended with two chocolate. In between, J accidently picked two glazed donuts. They were sitting next to the packzi’s and she didn’t realize they were donuts. I thought it was odd when the lady said the paczki’s don’t count as part of a dozen even though they had signs all over with prices for paczki’s by the full or half dozen. Since we got the two donuts, we paid for each of the paczki’s individually. Still, the six pastries only cost a little over six bucks. When we left to run errands, J asked if we could take my truck. I didn’t think anything of it at the time, but when we got in the car, I realized why. She wanted to eat on the way home and not get powdered sugar in her car. I guilted her a little bit and she only tore off a little corner of one of the chocolate ones. She offered some to me, but I didn’t want to try to eat a donut and drive. When we got home, we had other things we needed to do right away, but we both stopped, found plates, and grabbed a vanilla paczki. Well, she found plates. I just ate over the sink. Less mess to cleanup that way. The paczki’s were delicious. They were just how I remember they should taste, but since it’s only a once a year thing, I wouldn’t remember exactly how any other one tastes anyway. I was good and only had one for lunch, but that was probably my whole day’s worth of calories. 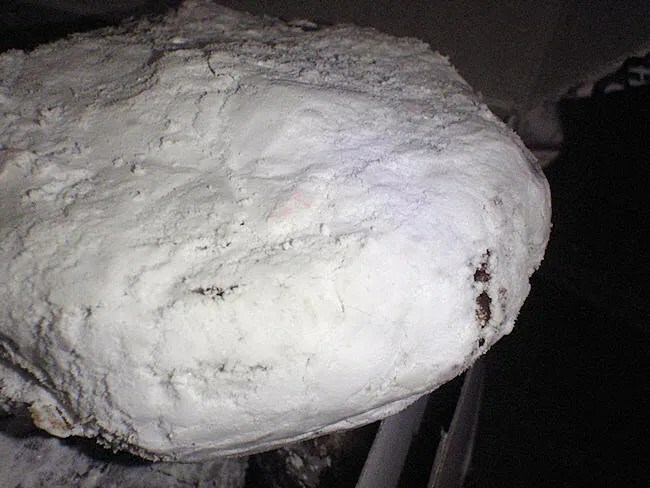 There are still one and three-quarters chocolate paczki’s left and two glazed donuts…..one of which I will eat for breakfast tomorrow. Once again, Sweetwater’s Donut Mill delivers in a big day. Fat Tuesday only comes once a year so why not indulge? I can be good tomorrow, right? if you are ever in Chicago for paczkis (any time of the year) I HIGHLY suggest Bridgeport Bakery on the south side. 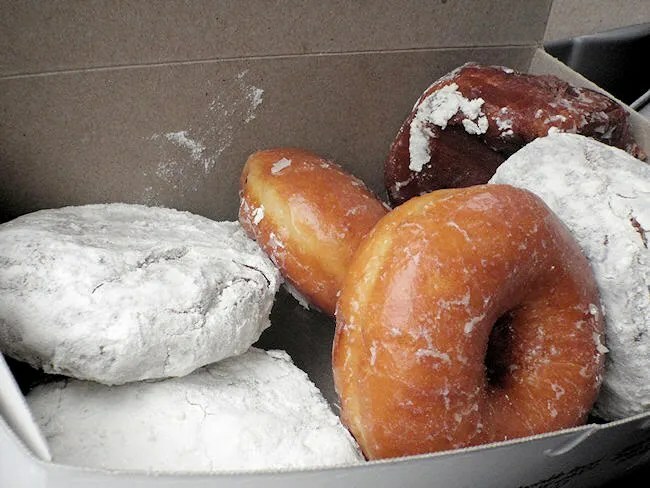 All their doughnuts are outstanding – but paczkis are their specialty. Better than most the Polish bakeries here IMO. Sounds like a good idea before an afternoon White Sox game!